Inner pocket, cotton webbing grab handle, smooth zip fastening – Colmer means business. It's great for travel or everyday use, made of hardy, waxed cotton. They might be bathroom essentials, but they should still be transported in style. 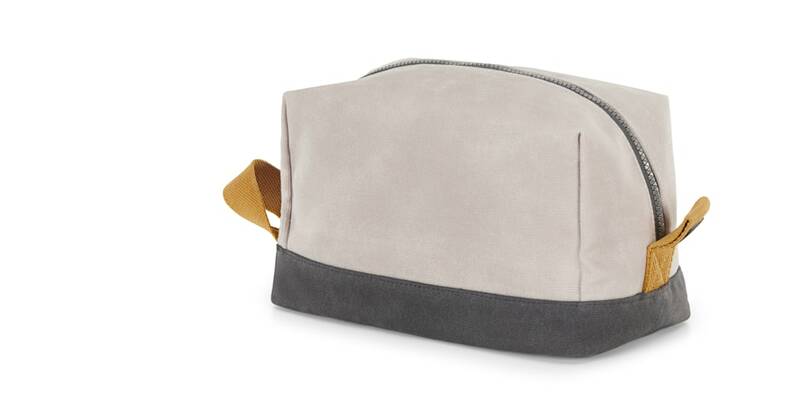 Mustard and grey accents make this wash bag an on-trend accessory.